Years ago when I taught preschool (way back in 1998, wow!) I was always trying to find fun, sensory and messy ways to play and craft. For Halloween one year, we made spaghetti spider webs. I recall it being very messy and not the best looking craft but what stayed with me the most was the laughs, giggles and shouts of "eew, gross!" So, I decided this was a must do craft this year with the girls. 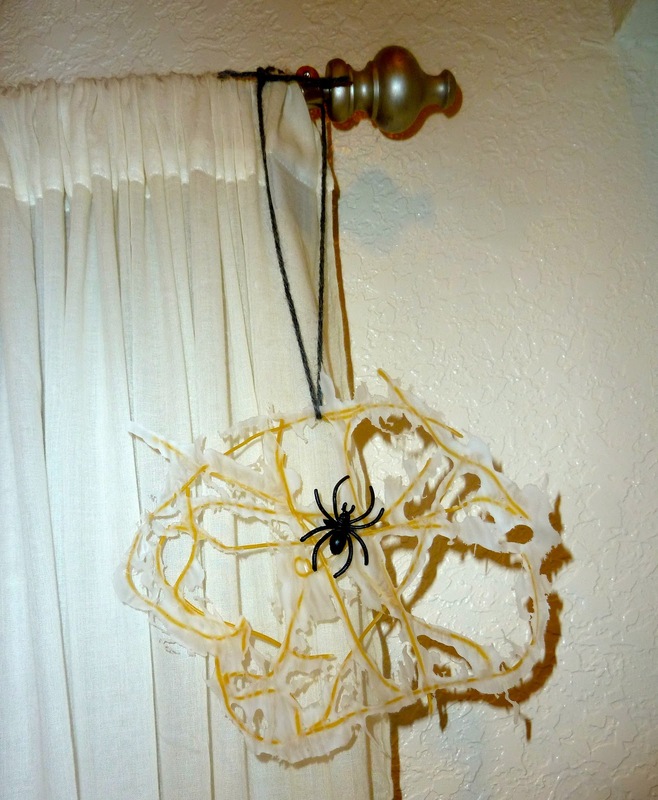 They were a bit skeptical about it at first but with some encouragement they went for it and we ended up with some spooky looking webs to display for Halloween. 2. Put down wax paper as a work space. 4. 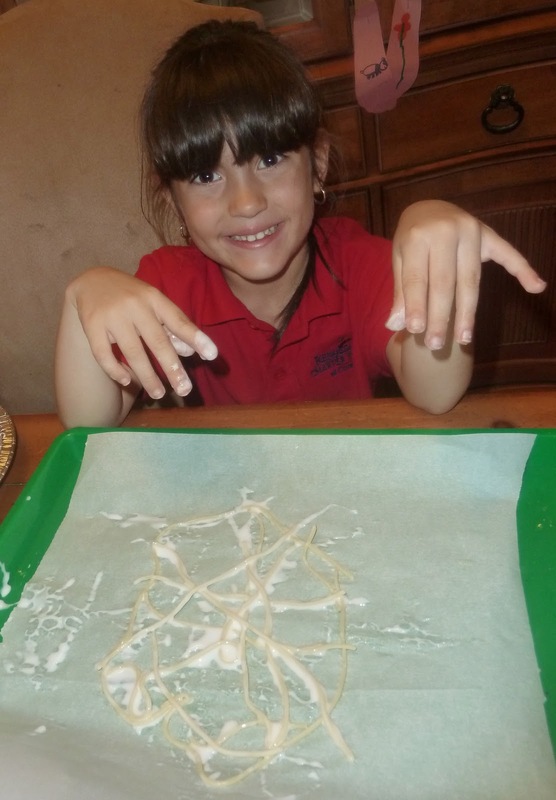 Coat spaghetti in glue and put on wax paper forming a design for the spider web. 5. Continue to work with spaghetti until a desired web design is completed. 7. 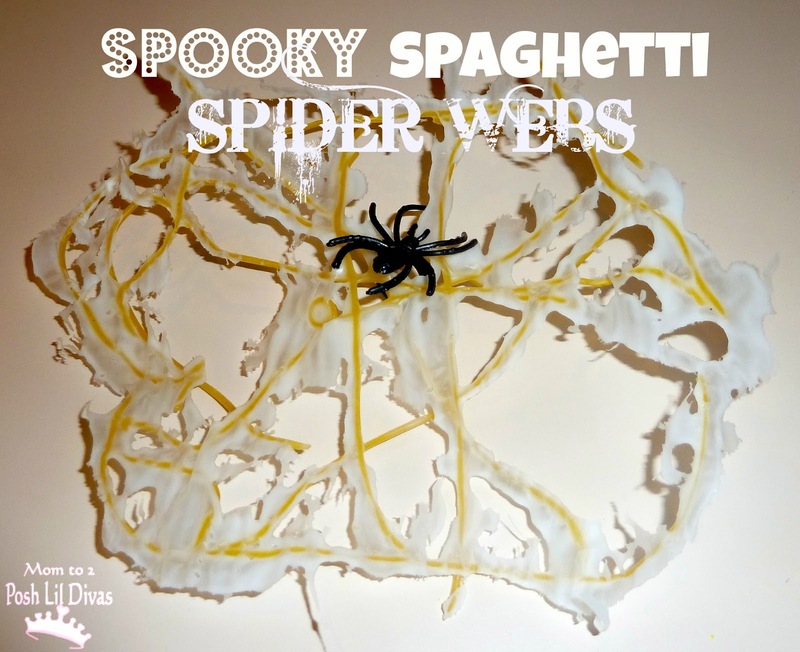 Once spaghetti is dry it can be removed from the wax paper. This is a great tactile/sensory craft. The Lil Divas loved feeling and playing with the cooked spaghetti and glue. It was cool, slimy, sticky and squishy fun. What a great idea! I love it! I am definitely going to try this with my daughter. I would love it if you would share it on my new link party at http://craftymomsshare.blogspot.com/2011/10/sharing-saturday.html Thank you! Love it so much, I'm sharing it in a Halloween Crafts link post tomorrow - with a link to your site for readers to find the directions! We don't celebrate Halloween, but I can see this as a future W (web) craft. Too bad we aren't doing letter of the week this year. Thanks once again for sharing your amazing ideas. Wow, that's cool! Much better than a web glued to paper and what a great tactile experience. Fun idea. I have extra spaghetti in the fridge that isn't going to be used. Instead of throwing it out I should try this! Thanks for sharing on Monday Madness. Hope you come back again tomorrow! 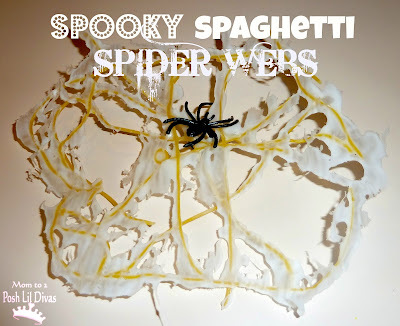 Love the spaghetti web! Thanks for linking up! 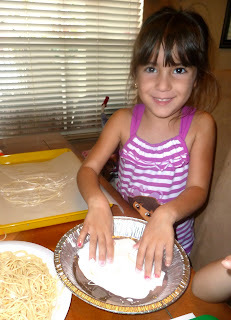 This is the kind of messy, fun project that I LOVE to do with my kids. Thanks for the fun idea and for linking up to Show and Tell! Cool! Just popping over from Hands on: as we grow! wow, great idea, now I know what to do with the spaghetti that's left over and too old to eat! thanks so much for sharing on Craft Schooling Sunday! fun and so creative! thanks for linking up to momstown arts and crafts. This is a very interactive art! Amazing and creative. Thank you for sharing this idea. Awesome and perfect for the kids. We also did a Spaghetti Painting used. You should check this out!